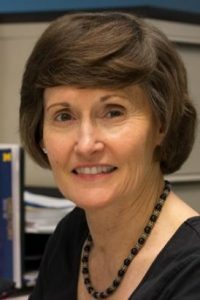 Anne Ruggles Gere was named the 2018 Michigan Professor of the Year by the Michigan Association of State Universities. Read more from the University Record. 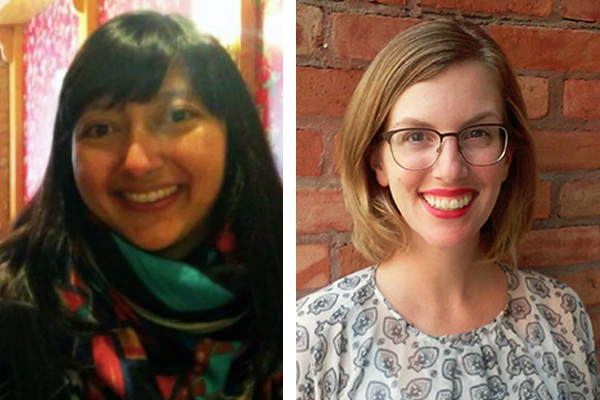 Two new faculty members joined us for the fall semester. Stephanie Moody (left), who taught with us previously, returned to teach Writing 100 and Writing Workshop. Natalia Knoblock (right), joined us for the first time and taught Writing 120 and Writing Workshop. 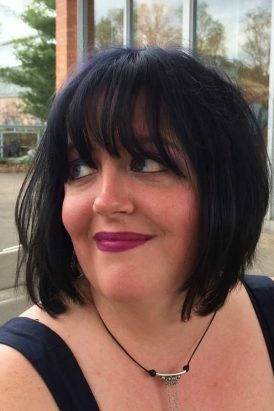 Stephanie brought expertise in rhetoric and composition, and a rich background in teaching. 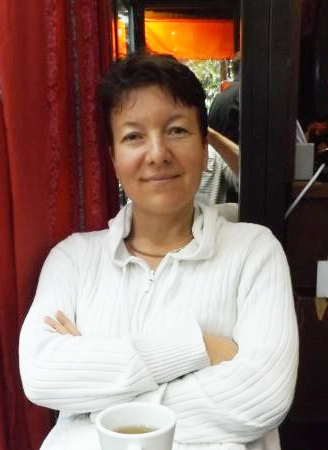 Natalia, who has advanced degrees in linguistics, provided support to English language learners as well as individual students seeking help with their writing. We were delighted to have both of them with us. 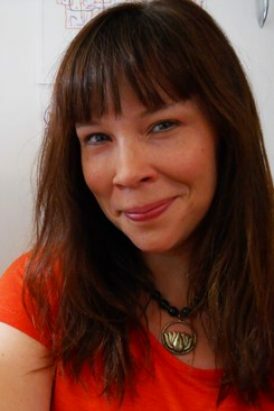 Julie Babcock’s manuscript Rules for Rearrangement was selected by Kimiko Hahn as the runner-up in the Autumn House Poetry Prize, and her novellette was a finalist for the Omnidawn Fabulist Fiction Prize. 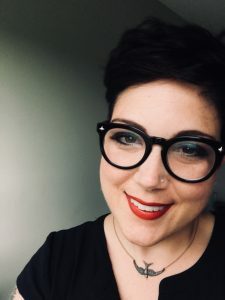 She participated in the Kentucky Women Writers Conference and gave a workshop with the poet Megan Levad on how to dismantle hegemonic assumptions about revision at the Creative Writing Studies Conference. 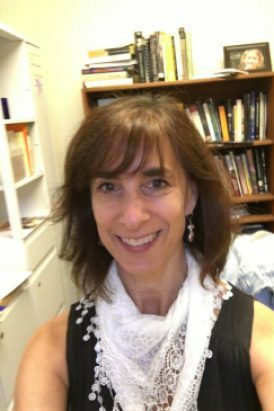 Gina Brandolino gave a public talk, “The Monster Inside,” for the Howell Carnegie District Library at their celebration of the 200th Anniversary of the publication of Frankenstein. 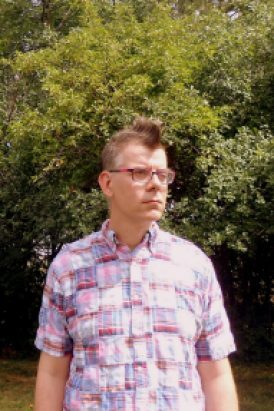 Scott Beal’s poems and prose appeared in Michigan Quarterly Review, Rattle, Opossum, The Rumpus, and Little Patuxent Review. 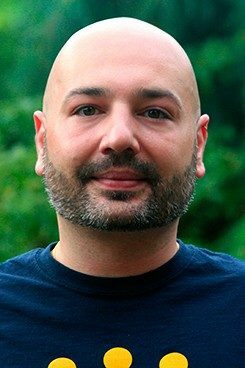 His poem “Dedicated to Neda and All Who Died” won Second Prize in the Naugatuck River Review Narrative Poetry Contest, and his manuscript Stegosaurus Moon was a finalist for the Lena Miles Wever-Todd Poetry Prize from Pleiades Press. 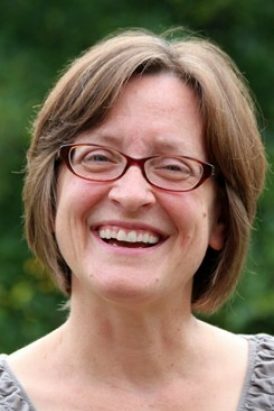 Cat Cassel attended the Above the Bridge Singer-Songwriter Conference in Curtis, Michigan, in June, and also attended the Peace Team of Washtenaw County Training, organized by the Interfaith Council for Peace and Justice, in December. 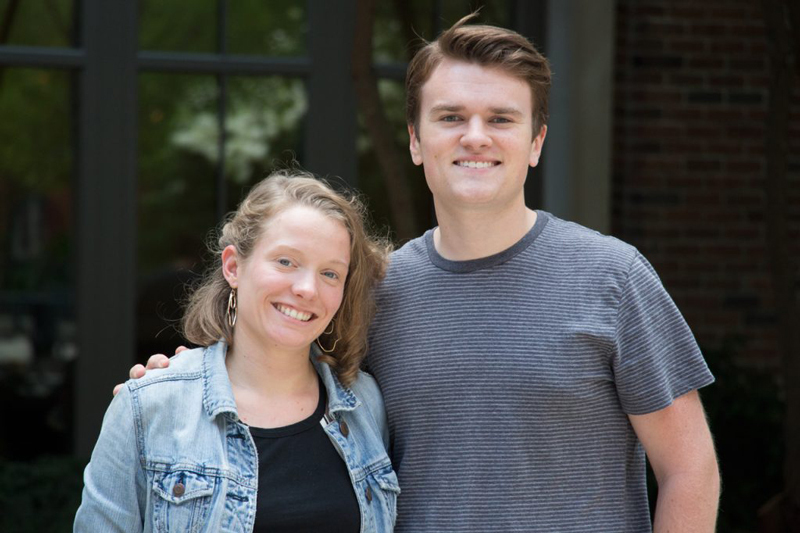 Louis Cicciarelli was featured in the University Record article “Mentoring at Michigan” for his work as a mentor with the Transfer Connections program. Natalia Knoblock organized a panel “Discourse of Crisis and Linguistic Creativity” at the Critical Approaches to Discourse Analysis across Disciplines Conference (CADAAD), at Aalborg University in Denmark in July, and signed a contract for an edited volume “The Ukrainian Crisis: Discourses of Trauma, Aggression, and Hope” with Bloomsbury Academic. 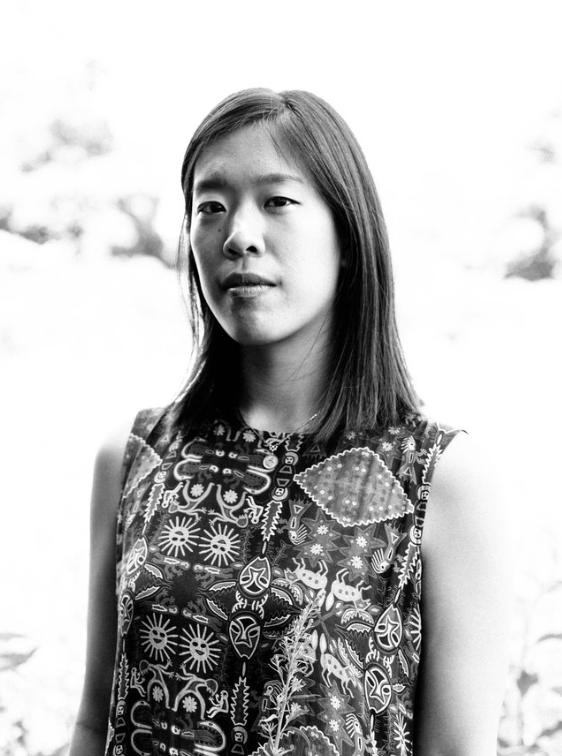 Lillian Li’s debut novel Number One Chinese Restaurant was published in June (Henry Holt). 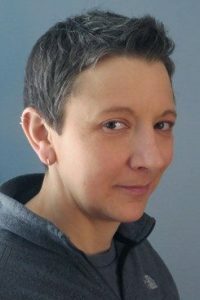 With colleagues from MSU, OSU, and Texas A & M, Christine Modey has written an article forthcoming in the 2018 volume of the Journal of Writing Analytics, exploring the use of text analysis techniques on writing center data. 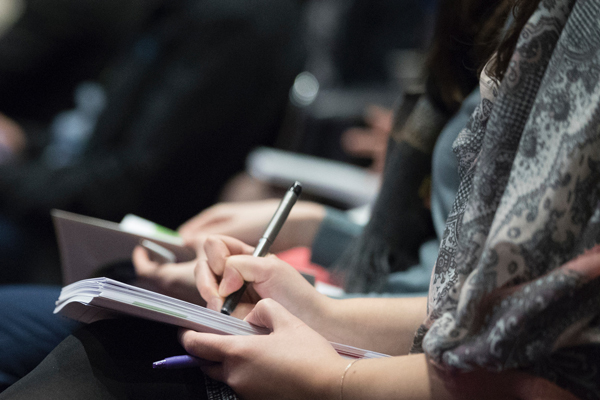 In October, she presented this research as part of a panel at the International Writing Centers Association. 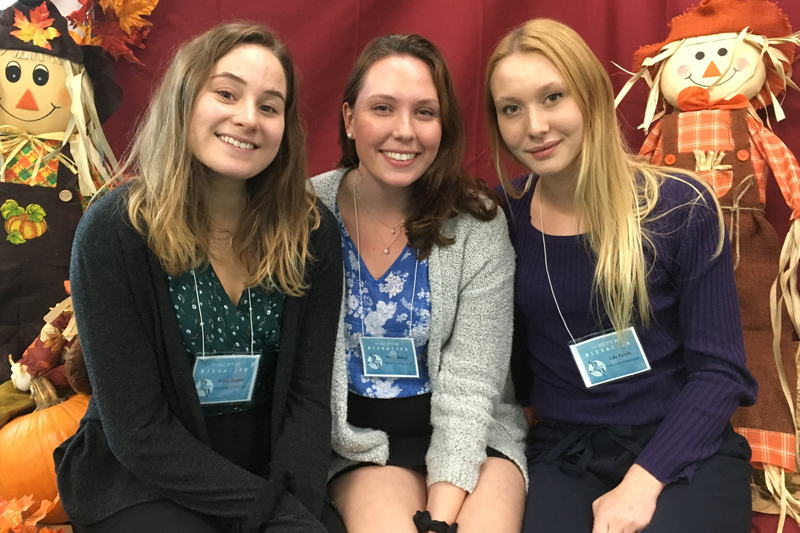 In November, she traveled with three peer writing consultants, Lila Peters, Adela Baker, and Katie Seguin, to the National Conference on Peer Tutoring in Writing, where she presented a workshop on inclusive design practices for writing center spaces and the peer consultants presented their own writing center research projects. 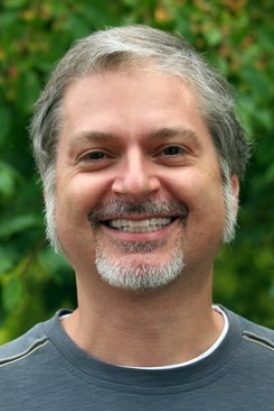 Simone Sessolo accepted the co-director position, with Louis Cicciarelli, of the Dissertation Writing Institute.